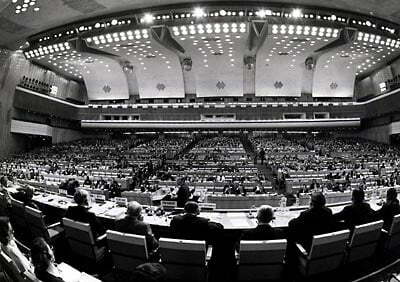 Introduction by Croakey: Today (12 September) marks 40 years since the World Health Organization member countries gathered for the International Conference on Primary Health Care in Almaty, Kazakhstan, and signed off on the declaration of Alma-Ata. The document’s greatest legacy is its affirmation of health as a human right. As a 40th birthday should do, this one has led to some re-evaluation and soul searching, including by the WHO, which has convened another Global Conference on Primary Health Care next month, to review progress and set more goals. A contemporary read of Alma-Ata confirms that we have fallen short of many of its aspirations, and the post below, from Professor Fran Baum AO and Dr Toby Freeman, of the Southgate Institute for Health, Society and Equity, examines the relevance of some of these aspirations for Australia. In response, they have developed the Ten Point Plan for Reform of Primary Health Care in Australia, which they outline below, along with some of their rationale. The crew from the Southgate Institute are out and about this week, with a breakfast at Parliament house and a symposium that will include presentation of the Ten Point Plan today. The symposium, which has a stellar cast of international participants, will be repeated in Adelaide next week. And a Public Health Association of Australia and People’s Health Movement Workshop in Canberra on Thursday and Friday this week will include planning on how to increase the focus on comprehensive PHC and the underlying determinants of health, in policy and practice. The long-time poor cousin of the health system – primary health care (PHC) – is celebrating the 40th anniversary of its most important document, the World Health Organization’s 1978 Alma-Ata Declaration on Primary Health Care. This iconic document, which has inspired a generation of health activists, proposed a system of PHC which covered cure, rehabilitation, disease prevention and health promotion, multi-disciplinary work, meaningful community engagement, and action on the social determinants of health. Is the idealism of Alma Ata still relevant today? Our research at the Southgate Institute suggests emphatically that it is. A comprehensive PHC system offers many benefits to Australia and, if fully implemented, would contribute to the prevention of disease, improved overall health, reduced health inequities, and the reduction of health care costs. Effective multidisciplinary teamwork ensures that people receive effective and seamless care; rather than just treating people when they get sick, it also seeks to determine what social factors affect their health. This is vitally important in an age when complex chronic diseases are the main burden. Thus a GP in a comprehensive PHC service might be seeing atient with diabetes and cardiovascular disease. As well as providing the patient with good care they would also be able to refer them to a diabetes management self-help group, a walking group and a community food initiative working for local, affordable and healthy food supply. Meanwhile the health centre would be advocating for a sugar tax and working with schools to promote water instead of soft drinks, and healthy food at the canteen. Despite their value, community health services such as these have been eroded in most jurisdictions in Australia and are no longer comprehensive. Our research also highlighted the effectiveness of Aboriginal community controlled health organisations (ACCHOs) in providing a culturally safe and effective PHC services. The main constraints on ACCHOs’ comprehensiveness are restrictive, complex, fragmented funding and accountability structures that favour remedial strategies, cuts to funding for health promotion, competitive tendering processes, and the difficulties of attracting staff trained in comprehensive PHC rather than narrow medical models. Regionally, we found that despite the importance of population health planning, Primary Health Networks predominantly focus on commissioning and have limited resources and time to plan collaboratively for population health and equity. The quality of their partnerships with local government, local health networks, ACCHOs and non-government organisations is highly variable and none are able to adopt a truly comprehensive model. Our analysis of PHC policy and practice also indicates that consideration of health equity is largely confined to improving access to health services, rather than a consideration of equitable outcomes. Support for health promotion is greatly reduced, and what is funded stresses individual responsibility rather than creating healthy choices for people. Limited attention has been paid by governments to the social determinants of health inequities – a major underlying cause of premature mortality, chronic disease and avoidable hospitalisations. Finally, while Medicare supports equitable access to general practice, we found a strong perception among key actors that the growing involvement of private health insurance in PHC is a risk for equity of access and health outcomes which has been demonstrated in dental care. Thus Australian PHC sector does not reflect the principles of Alma Ata. It is for this reason that on its 40th anniversary we have put forward a ten-point plan for the reform of PHC in Australia. The plan is primarily aimed at the Commonwealth but will need support from State and Territory governments too. We hope that our visionary plan becomes the focus of discussion about how PHC in Australia can be reformed to meet the population health and health care needs of Australians more effectively. A national PHC policy and implementation plan should be developed and complemented by a national Social Determinants of Health policy and implementation plan. These policies should be resourced and their development led by the Department of the Prime Minister and Cabinet and COAG. The national PHC Plan should promote comprehensive PHC and provide an overarching framework for a national approach to PHC, rehabilitation, and community based disease prevention and health promotion. It should pay particular attention to equity of access and outcomes. A national program of comprehensive community controlled PHC centres in rural and urban settings should be funded and progressively rolled out in each jurisdiction. These centres should provide curative and rehabilitative multidisciplinary primary medical care services and be the focus of local disease prevention and health promotion activity conducted in partnership with local government and existing health services. They should also build community capacity through health promotion, partnerships and community development. The development of these centres should be informed by the experiences of community health and Aboriginal community controlled sectors. The needs of groups who find PHC hard to access including people in low socio-economic circumstances, refugees and Aboriginal and Torres Strait Islander peoples should be the focus of planning and service provision. Strategies to improve cultural safety and accessibility of ‘mainstream’ PHC services for Aboriginal and Torres Strait Islander service users and members of culturally and linguistically diverse communities should be strengthened in partnership with ACCHOs. Training of health professionals should include a focus on PHC, social determinants of health and health equity, and the principles of population health, so that they are equipped to work in these areas. The Aboriginal community controlled sector should be strengthened and expanded with assured, simplified funding, including flexible funds for locally designed health promotion and community development activities. These measures could be funded by removing national subsidies for private health insurance and redirecting savings into both a national community controlled PHC centres program and ACCHOs. Medicare should be supported and strengthened as a progressive public health insurance scheme with an emphasis on equity of access and should not require co-payments for any services. The role of regional PHC organisations such as Primary Health Networks (PHNs) should extend beyond a primary focus on commissioning services to a strengthened role in planning for healthy communities in partnership with local interests (including state and local governments, general practice, ACCHOs and community controlled services). Evaluation and monitoring of health and equity outcomes should be factored into, and support, PHC reform in Australia. *The full briefing paper and ten-point plan can be found here. Professor Fran Baum AO is Director of the Southgate Institute of Health, Society and Equity, Flinders University, Adelaide SA. Dr Toby Freeman is Project Manager, Comprehensive Primary Health Care in Local Communities, Southgate Institute for Health, Society and Equity, Adelaide, SA.